When your tamales arrive, if they are not frozen, they can be refrozen or refrigerated. In the vacuum-sealed bags, they can stay in the freezer 12+ months and in the refrigerator for 4 weeks. The best way is to boil them in their "boil-in" bag (unless there appears to be extra air in the bag, then the bag may leak, and you should try one of the methods below). Place them in the boiling water for 17 minutes from a refrigerated/thawed state (22 minutes if frozen). 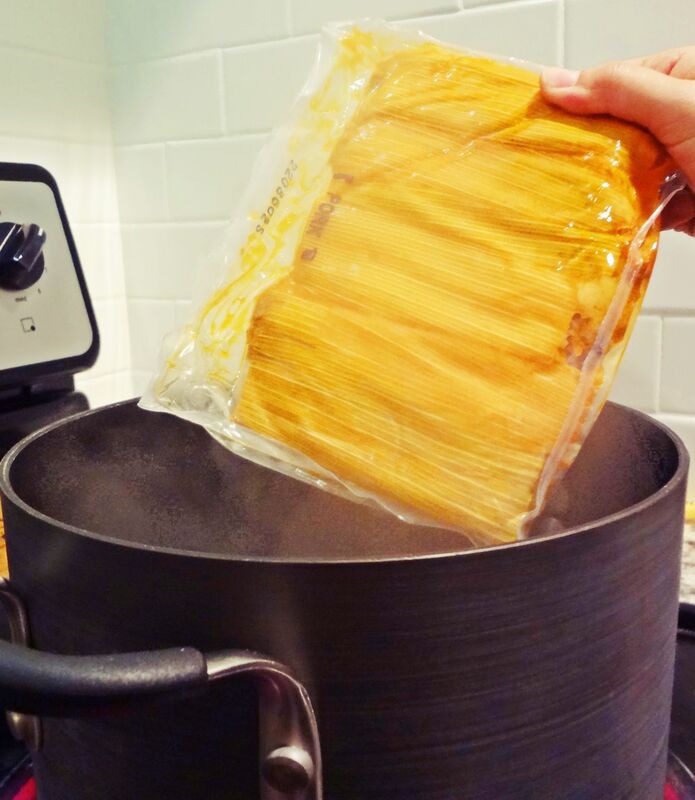 For steaming, remove tamales from bag, and place in a hot steamer for 15-20 minutes from a thawed state (5-10 minutes more if frozen). For oven baking, preheat oven to 325. 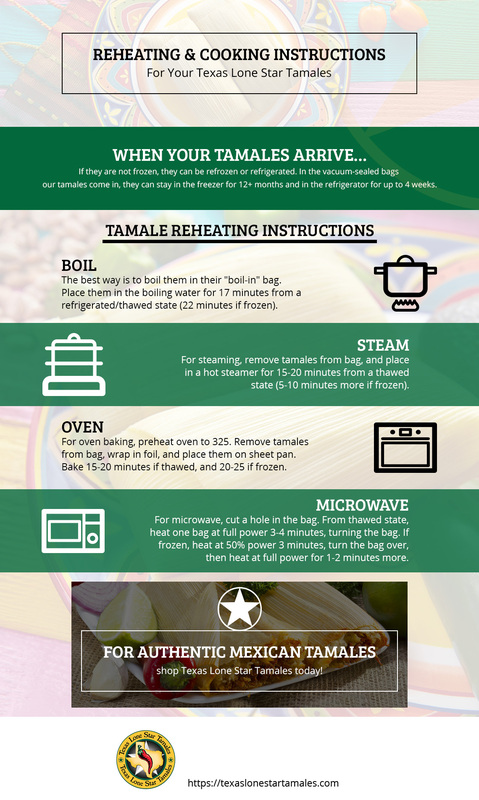 Remove tamales from bag, wrap in foil, and place them on sheet pan. Bake 15-20 minutes if thawed, and 20-25 if frozen. For microwave, cut a hole in the bag. From thawed state, heat one bag at full power 3-4 minutes, turning the bag. If frozen, heat at 50% power 3 minutes; turn the bag over, then heat at full power for 1-2 minutes more.